As of late to loosen my painting bones I have given myself the assignment of doing forty paintings. My sketchbook is chocked full of images and ideas I’ve laid out this last school year that have been left uncreated. 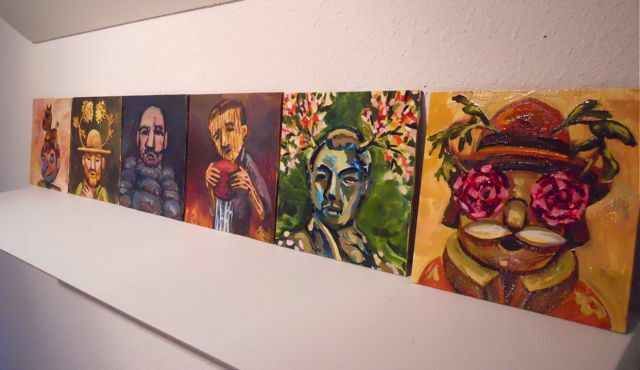 And so, it seemed only appropriate to give myself a series of small paintings to crank out. -Why then they’ll be smaller affordable works for those visiting the Salem Art Festival in July! They’re coming along and come across as funny, quirky, thoughtful and absurd. They seem to reference a gambit of artists from Arcimboldo, to Georgeus Roualt, and medieval misericords and green man, as well as pop art. So, there you go. Keep your eyes open here, as I will post better images of these when I “seriously” begin photographing them. 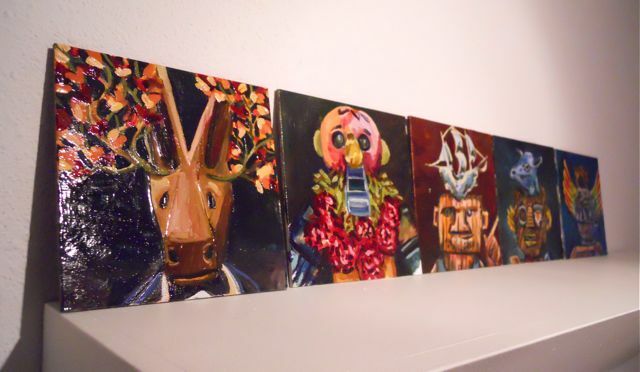 This entry was posted in Art in the Works and tagged Arcimboldo, charachters in oil, Georges Rouault, small oil paintings. Bookmark the permalink. Hi Tim, it’s always fun to see what new pieces you have created! I’m sorry to miss the art festival…will be out of town visiting relatives for several weeks. If my ideas were manifested out of my head…..? Hmmmmmmmm….anything from gorillas to roses to space craft I imagine! God bless on all your latest!